The Nike x RT Gymsack plays with proportions for an oversized take on the classic gymsack silhouette. Conceived by Italian couture creator Riccardo Tisci, it features a cinched closure, ample storage compartment and drawcord straps. Dimensions: 66cm H x 51cm W x 5cm D approx. 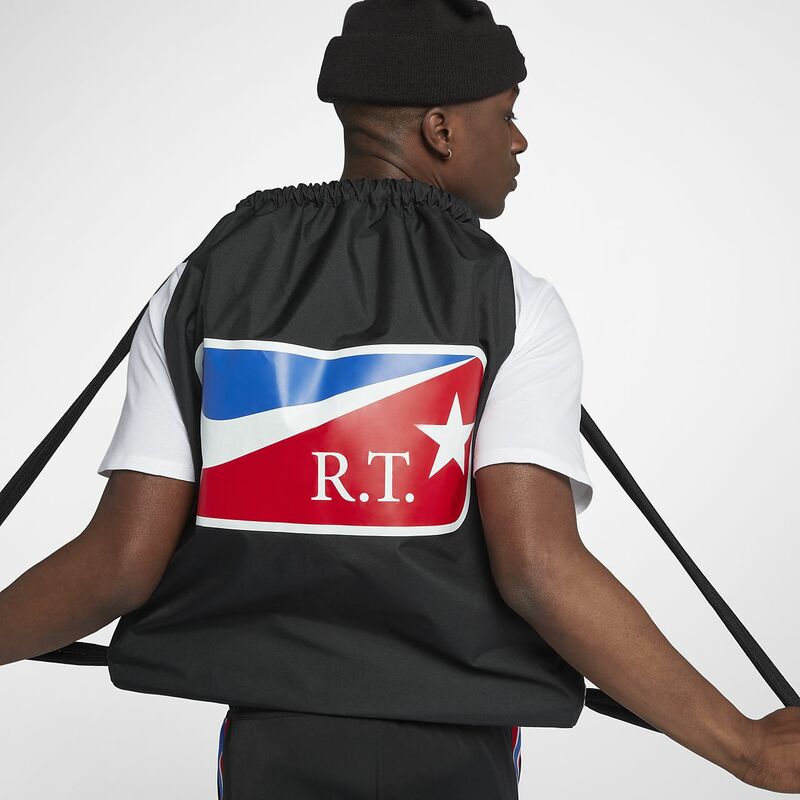 Couture creator Riccardo Tisci continues his on-and-off-court collection with Nike, celebrating basketball lifestyle through his mythical squad, The Victorious Minotaurs. Ultimate comfort and game-winning attitude are packed into the very ethos of the collection and its bold silhouettes. Whether warming up or leaving the locker room with heads held high, the Victorious Minotaurs seek to propel the look of basketball into courts uncharted.